Handmade newspaper from the UK. Above: The Manual. Thanks to Phil for this link, a really fascinating project launched last October by a team of intrepid inkers. Bravo! Will we hear more? 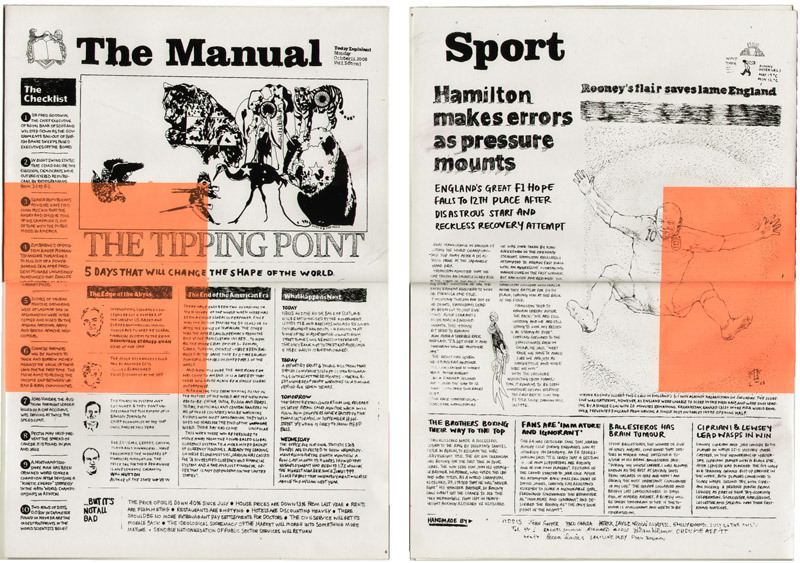 UPDATE: The Manual was guided by Shakeup Media partners Richard Addis and Ryan Bowman. Visit their site for more endlessly interesting work and information. This entry was posted by Erik Brandt on Monday, January 5th, 2009 at 10:26 PM	and is filed under Aktuell, Education, Free Radicals, Globalization, Graphic Design, International, News Links, Typografika, Typography.